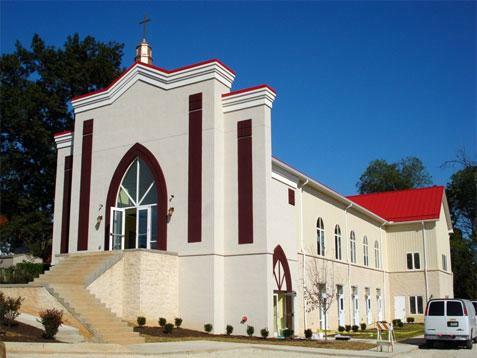 St. Thomas Indian Orthodox Church, Greater Washington was founded in September 1965 under the leadership of Rev. K. C. Thomas (His Grace Dr. Thomas Mar Makarios of blessed memory). The Church started as a congregation of young immigrants from the state of Kerala, India. Mostly from the neighboring areas of Washington DC, Maryland and Northern Virginia, the group organized liturgical services at various locations in the Washington Metropolitan area. Until the late seventies, the Saint Thomas Indian Orthodox Church was the only organized congregation of people of Indian origin in this area. It is also one of the first churches of the Malankara Orthodox Church of the East in the American Diocese. During the 42 years of its presence it has been a source of blessing to many who participated in its Holy services. The church passed through various stages in its growth and today it is a living testimony of the faith of its founders and a joy to its members in the Orthodox family. In the recent past, the spiritual growth of the parish was nourished by the appointment of permanent vicars residing locally including Rev. Fr. Geevarghese Ninan, Rev. Fr. Dr. M. S. John and Rev. Fr. Dr. P. C. Thomas who provided dynamic spiritual leadership in all realms of the church activities. Today, the St. Thomas Church is a vibrant community of 60 families rooted in the Malankara Orthodox beliefs. We have Holy Qurbana (Mass) Services every Sunday. We also have a very active Sunday School program, a youth program, Mar Gregorios Orthodox Christian Student Movement (MGOCSM), the women's auxiliary, Martha Mariam Samajam. The prayer group and prayer meetings conducted every fourth Saturday is another major activity of the church that provides fellowship and spiritual education to the members.